Atrial Fibrillation (also referred to as AFib or AF) is a common but debilitating heart disorder that results in an irregular heartbeat, also known as arrhythmia, affecting over 300,000 Canadians with a prevalence of 2.3% adults over the age of 40, and 5.9% of adults over the age of 65. 70% of individuals diagnosed with AFib are between the ages of 65 and 85, with men having an increased incidence than women. As a physician in Greater Vancouver, Dr. Ali Ghahary is able to treat the aforementioned conditions and symptoms in effort to avoid the development of Atrial Fibrillation and its complications. As the risk of being diagnosed with Atrial Fibrillation can increase with age, it is also important to be aware of other risk factors and underlying conditions that can cause this disorder, i.e. high blood pressure, diabetes, hyperthyroidism and sleep apnea. 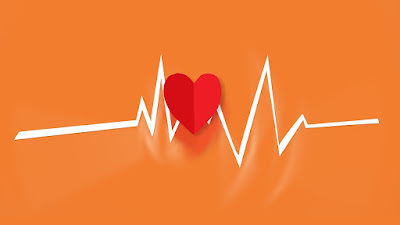 Individuals who have been diagnosed with an underlying heart disease are also at an increased risk of developing AF – such as heart valve problems, previous history of heart attack, congenital heart disease and congenital heart failure, in addition to family history. Those with AF are also five times more likely to have a stroke in comparison to someone without this condition. Complications such as blood clots can also arise, and if traveled through the blood stream can cause a blockage, which can sometimes be fatal. Those with Atrial Fibrillation may not always experience symptoms. However, manifestations of AFib can include heart palpitations, dizziness, fainting and shortness of breath. If you experience any alarming, sudden symptoms such as chest pain, a feeling of pressure in your chest, or have difficulty breathing, you should seek medical attention immediately by calling 9-1-1. Patients are almost always referred for further non-invasive testing which may include an electrocardiogram to check the heart’s electrical activity, an echocardiogram to take images of the heart, and a holter test – a portable ECG machine that you wear for several days to closely monitor your heart’s rhythm. Blood tests may also be ordered. Dr. Ali Ghahary may also refer patients to Vancouver’s Atrial Fibrillation Clinic for assessment by a Cardiologist. The Vancouver AFib Clinic is an initiative designed to help educate patients on their condition and improve their quality of life by providing treatment plans, referrals to other services if necessary, and follow-up appointments. The fundamental objective in treating Atrial Fibrillation is to prevent blood clots from forming. The most commonly prescribed meds to ensure that blood clots do not form is Warfarin and Aspirin. Patients may also require other medications like beta-blockers or calcium channel blockers in effort to stabilize their heart rate. Patients diagnosed with Atrial Fibrillation should also ensure that they are maintaining a diet that is heart-healthy, exercise regularly, and don’t smoke.